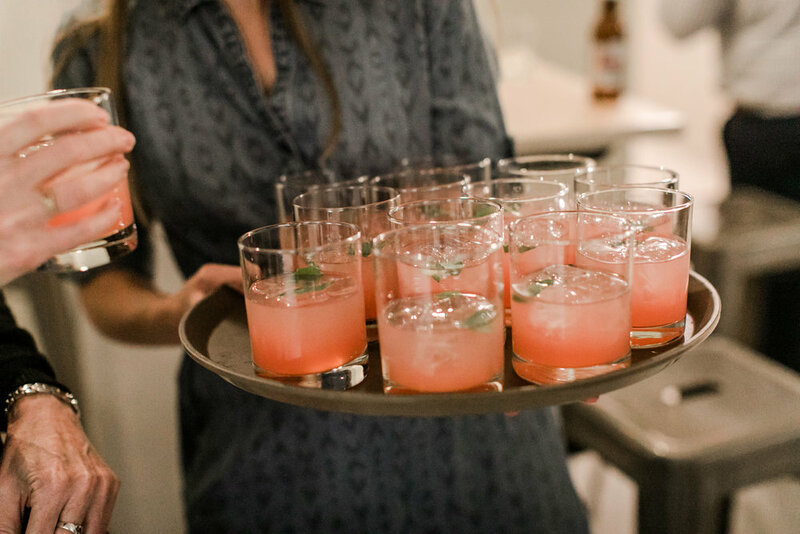 Your guests will enjoy The St Vrain's fully furnished cocktail lounge featuring a large garage door that opens onto an outdoor patio where Rocky Mountain sunsets can be enjoyed along with Colorado's cool evening breezes! The Cocktail Lounge features plenty of standing room along with numerous groupings of seating. From cocktail tables and stools to plush sofas and chairs everyone from grandmama to your BFFs will find a place to enjoy hors d'oeuvres and drinks. And seriously, this is all included in your rental fee! Just bring the party! When the Cocktail Lounge garage door is open, the outdoors instantly come in (and apparently the men go out) ! The Patio is lined with Linden and ornamental Pear trees- think white blossoms in spring and perfumed breezes in early summer! Comfy outdoor furniture and cafe market lights create a urban oasis that is sure to please! The Bar may just make you want to give us a great big kiss! We allow you to curate your selection as well as to bring in your own alcohol! Here at The St Vrain you can work with our licensed Bartender to customize your set up. Whether you prefer to serve a craft cocktail or wine and beer, we will be more that happy to make you happy! Nothing like a "Blushing Bride" craft cocktail!